A couple weeks back we hung out with Glenn Carnegie in a video to help our players figure out what to do with the puck once they retrieve it. 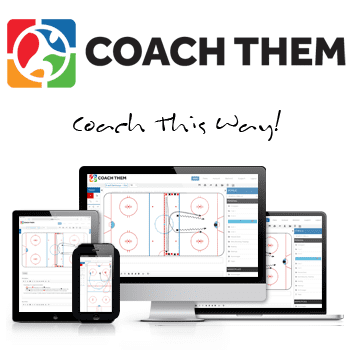 I’ve used those tips in my own practices multiple times since – getting the puck below the dots, switching sides, plays off of cycles, round-downs, and so on. But what about the specific skills necessary to pull those plays off? There’s an important difference between making plays and the ability to make plays. 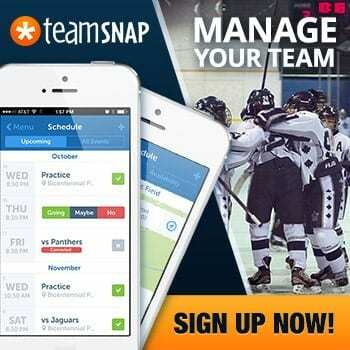 You can run the former all you want, but if your players don’t have the requisite skill…well, then you’re not going to trust them, and they’re not going to play. And then no one is happy. 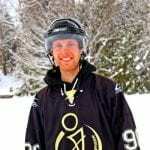 Pavel Barber is a local skills instructor here in Vancouver who specializes in a wide range of technical hockey skills. 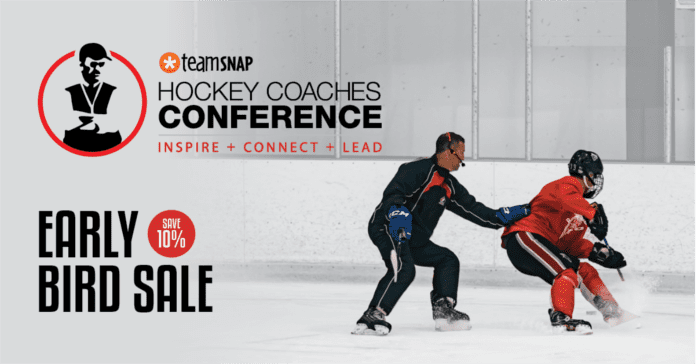 He joined our conference this summer to provide an on-ice demonstration teaching the finer points of protecting the puck and puck possession. You know who’s good at protecting the puck? Sidney Crosby. You know who else? Every hockey player who plays in the NHL. 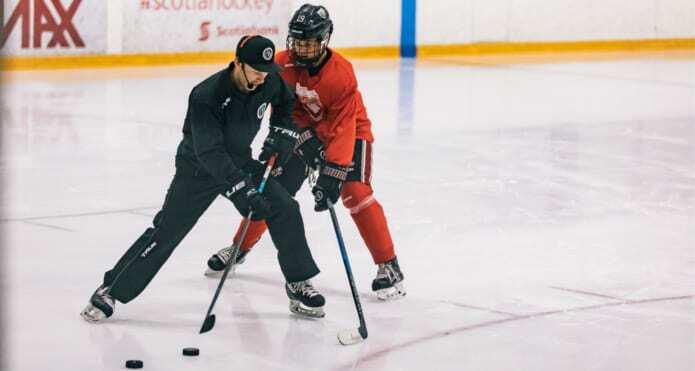 For Barber, the ability to protect the puck is a prerequisite for every level – it’s a skill you need to have, and the best players have the skill in abundance. Check out a snippet of the presentation below!